January is chock-a-block filled with important health awareness campaigns such as Blood Donor Month, National Volunteer Blood Donor Month, Cervical Health Awareness Month, Thyroid Awareness Month, National Birth Defects Prevention Month and National Glaucoma Awareness Month. It’s also a month filled with ridiculous days such as, Appreciate a Dragon Day and International Skeptics Day, whatever that is. But let’s focus on a cause we can all get behind, Glaucoma, an incurable disease that affects more than 3 million people in the United States. The National Eye Institute projects this number will reach 4.2 million by 2030, a 58 percent increase. Vision loss is caused by damage to the optic nerve. This nerve acts like an electric cable with over a million wires. It is responsible for carrying images from the eye to the brain. Though Glaucoma-related vision loss can be slowed by medication or surgery, it’s a tricky disease to combat as there are no symptoms and once vision is lost, it can’t be restored. The most effective way to combat this disease is by early detection via regular eye exams, particularly if you are in one of the high-risk groups (people over 60, family members of those already diagnosed, diabetics, and people who are severely nearsighted). The best way to protect your sight from glaucoma is to get a comprehensive eye examination. Then, if you have glaucoma, treatment can begin immediately. 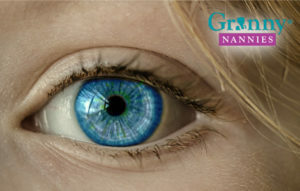 To learn more about what you can expect from a glaucoma eye exam, check out this link from the Glaucoma Research Foundation: Read about Glaucoma Eye Exams. ← New Year, New Habits: Decluttering an elderly person’s home. What to keep, donate, toss.